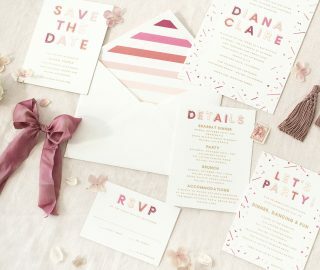 We are Bella Figura — Central New York printers who make unique wedding invitations the old fashioned way, with vintage presses, the best paper, time, patience, and a whole lot of love. 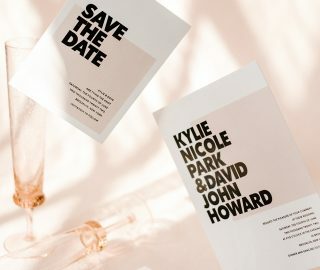 With over 300 designs and counting, we offer one of the largest collection of letterpress wedding invitations anywhere in the world—find vintage wedding invitations, modern wedding invitations, destination wedding invitations, save the date cards, and more. We practice progressive green printing too, using eco-friendly options (like tree-free paper, recycled envelope liners, and FSC-certified pocketfolds). 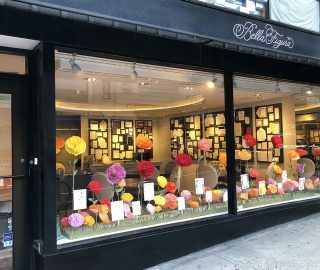 Our invitations can be found in select retailers around the world, and in our brand new flagship store in New York City.